How to Make Your Day Better. What to do during your vacations. 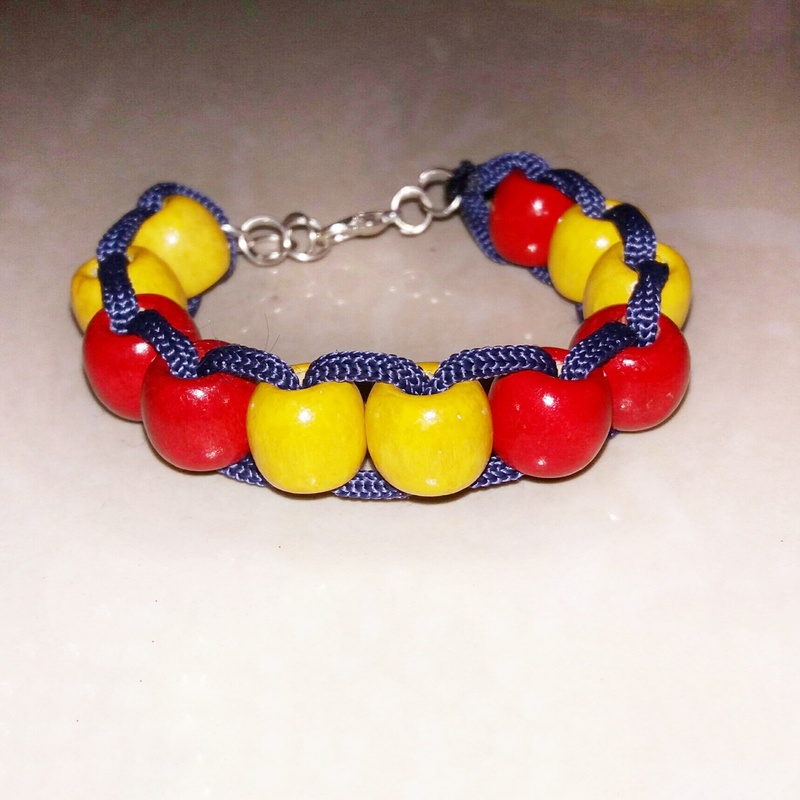 This bracelet is ideal for the Friendship's Day that's coming next month! You will para-chord of 4 times the length around your wrist. Fold it in half and make sure it's taut. I used an exam board to hold it in place. Slide a bead through one end. Later, put the other end into the bead from the opposite direction. Repeat this step for beads of different color until the bracelet of desired length in formed. After sticking the ends together, I added jump-rings and hooks as shown above. This is how it finally turned out. I like it and I hope you do too! July 17, 2016, 8:22 a.m.